He has designed castle interiors for the Rothschilds, yacht interiors for Barry Diller, and an apartment for David Geffen. Now, for a few million, you could own a residential creation by François Catroux. 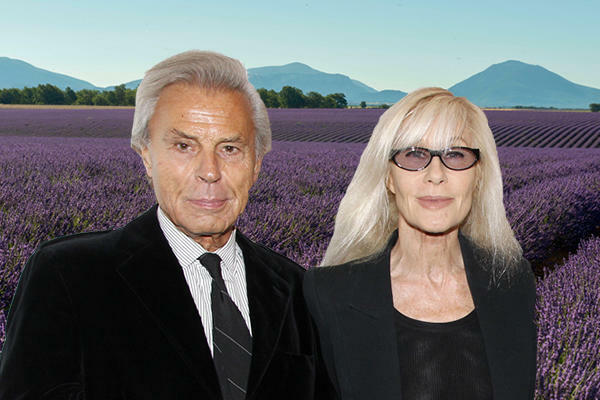 The famed interior designer is ready to part with a 10-acre estate in Provence, where he and his wife Betty have vacationed since the early 1990s, for $11.5 million, according to Bloomberg. “Now, François wants to go to the sea. He bought something next to Nice, so we’re going,” Betty Catroux told the outlet. The property includes a 16th century stone house with nine bedrooms and about 5,300 square feet of interior space, plus a nearby caretaker’s cottage with 750 square feet. The main house has a big living area with a vaulted ceiling and a cement floor with embedded river stones. Among other improvements to the property, the couple added a sprawling outdoor terrace, a pool house and a two-car garage. Among the exterior features are cypress trees, landscaped gardens, expansive lounge area and a tennis court. A gardener working for the sellers can continue grooming the grounds for the next owner. The Provence estate is a 10-minute walk from Lourmarin, where the writer Albert Camus was born. Betty Catroux said her favorite neighbor, media magnate Anne Cox Chambers, once arranged for the New York City Ballet to perform in her garden.